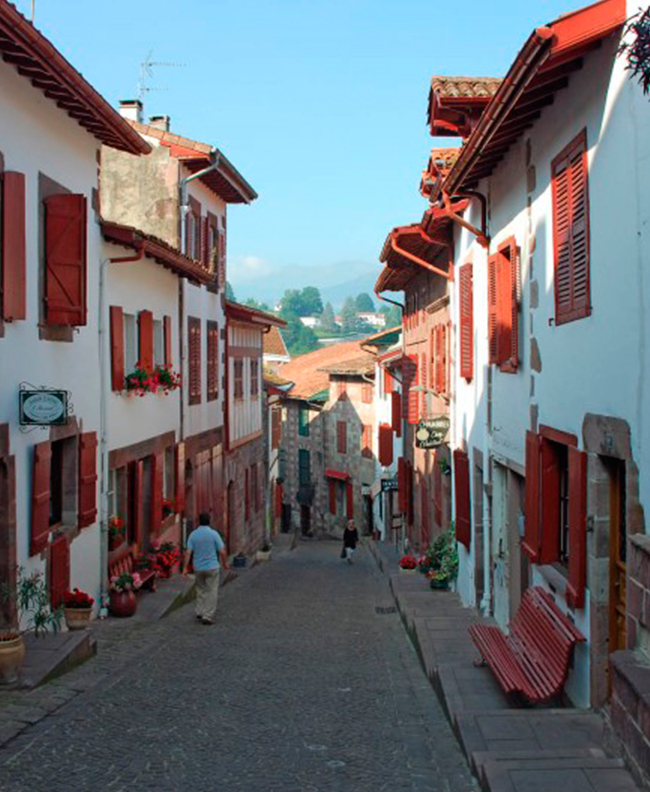 Go off to explore typical villages of the Basque Country and the Soul. 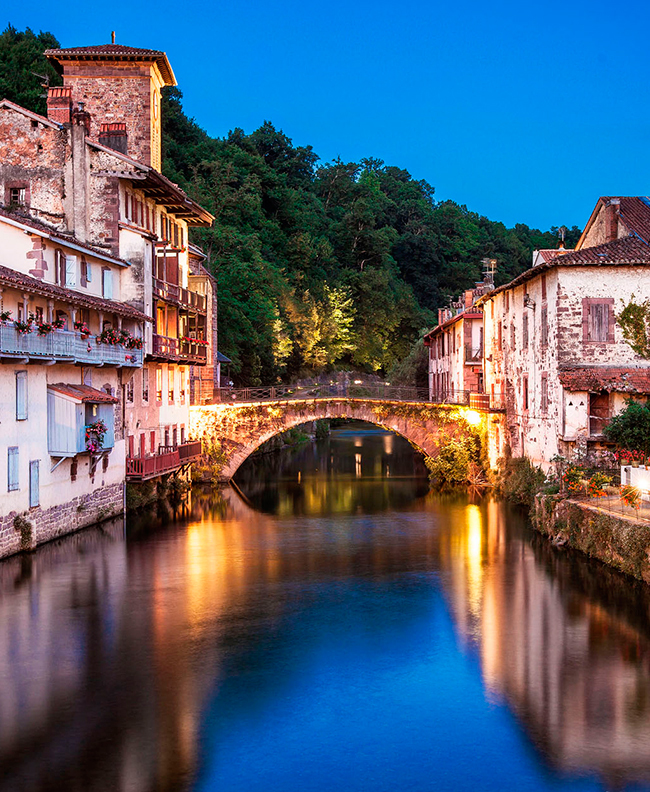 Several of them are classified among the most beautiful villages of France. 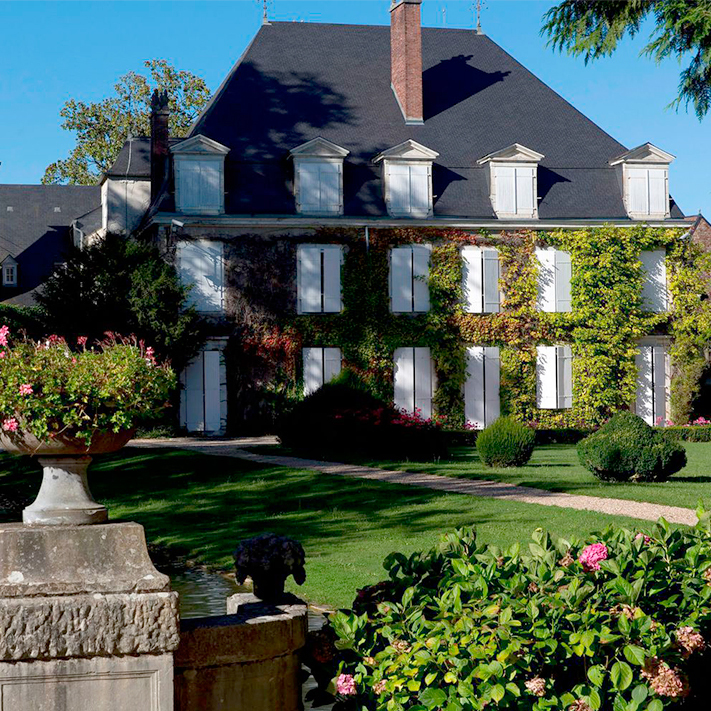 Castles, ramparts and old country-houses will count you their story. Furthermore, numerous demonstrations are organized in all the surrounding region during all summer for all the family. Find their geographical situations and the calendar in “Parties and seasonal festivals”. 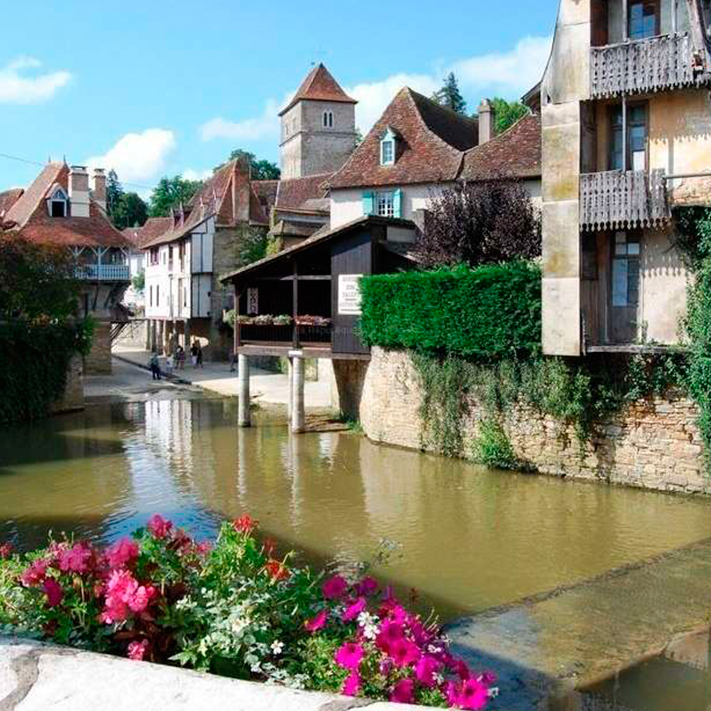 Since 2014, the municipality was admitted to join the association the Most beautiful Villages of France. 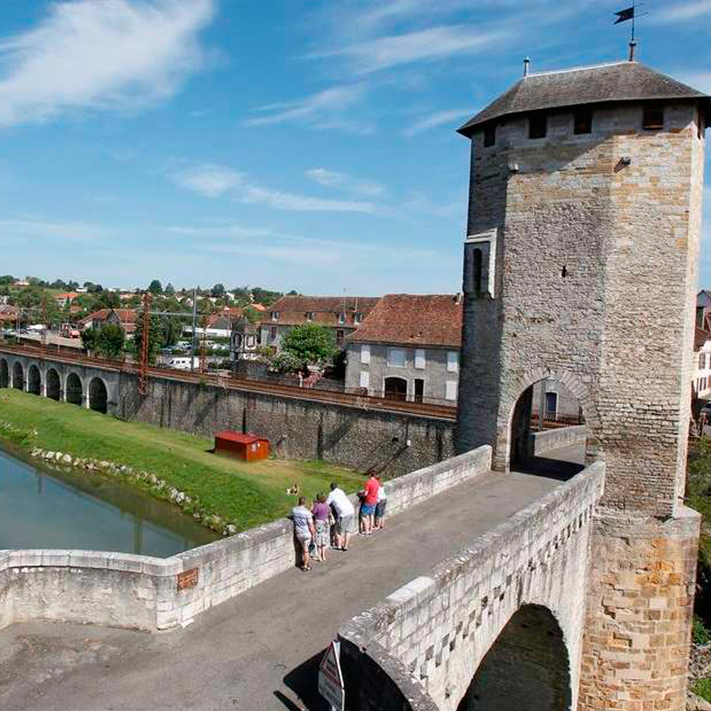 It is the first bastioned city of France. History Its origin goes back up in 1078. 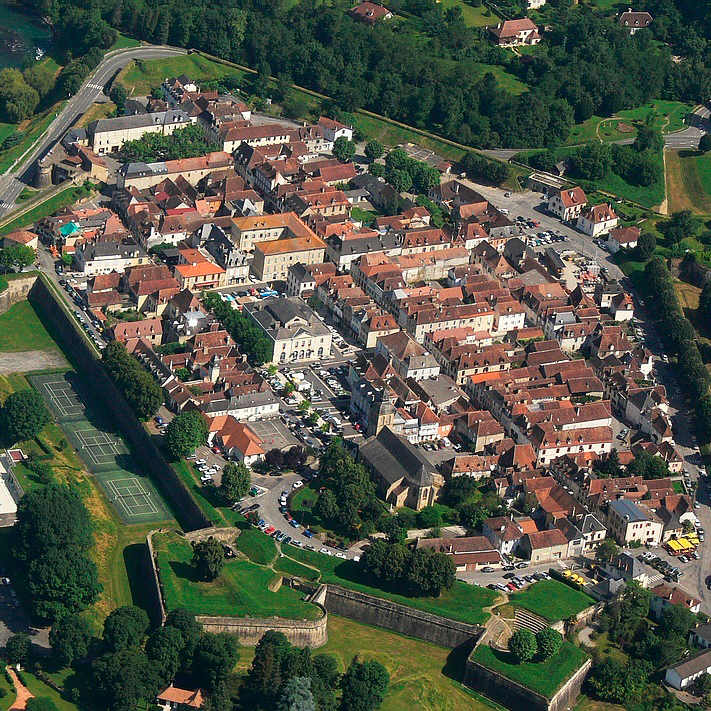 It is a fortified town as well as a city border. 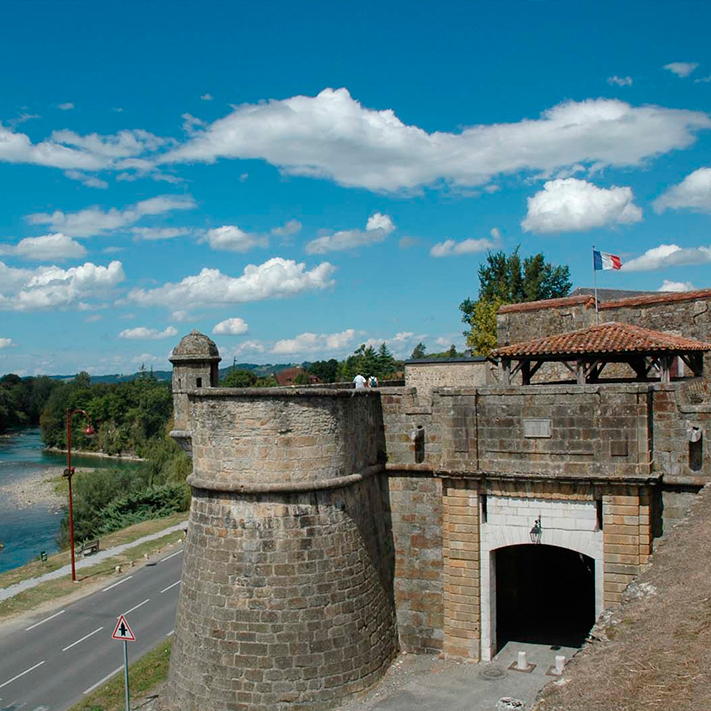 Worried of establishing his power on Navarre, Henri II d’ Albret strengthens the military value of the city in the XVIth century. After the destruction of Casterasse by the army of William of Orange in 1523, he let build the current ramparts by an Italian architect, Fabricio Siciliano. It so becomes a century before Vauban the first bastioned city of France: it was never defeated. It is a city surrounded with hills. It is the capital of the Soule, the province of the Basque Country in the department of the Pyrénées-Atlantiques. 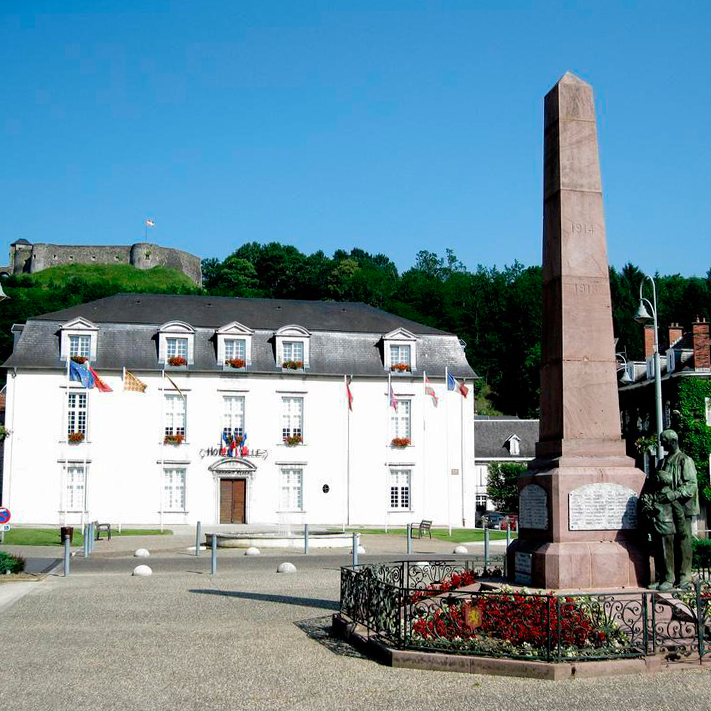 Mauléon is considered the capital of the rope-soled sandal. Its industry knew its peak at the beginning of the XXth century, and today still Mauléon is considered the capital of the rope-soled sandal. A party is dedicated to him on August 15th. The esplanade presents a remarkable, unique architectural ensemble in the internal Basque Country today: the City hall, the House of the Heritage, and especially the castle of Andurain, building of the XVIth century and classified as Historic Monument”. 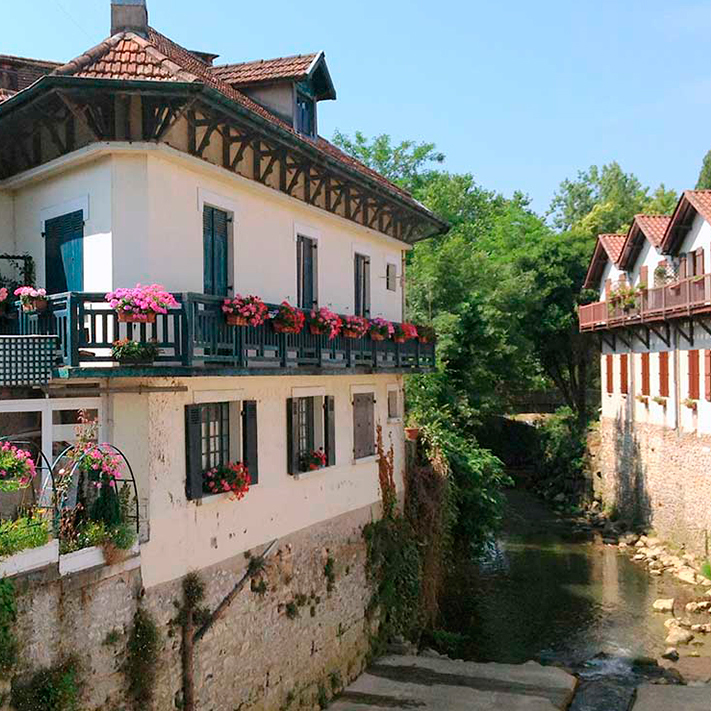 Between Sauveterre de Béarn and Navarrenx, The village of Laàs, in Béarn, welcomes you all year long, but more particularly during the weekend of the Ascension Day with the festival of the Musical Transhumances. 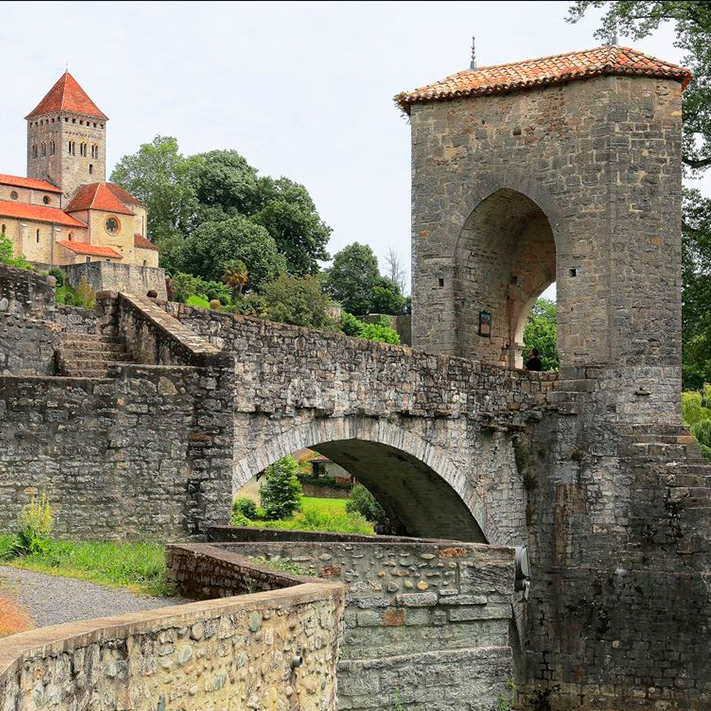 The Castle of Laàs is at the heart of a 12 hectare park situated along the banks of the mountain stream of Oloron. Sauveterre-de-Béarn is a French municipality, situated in the department of the Pyrénées-Atlantiques in region of New-Aquitaine. Its inhabitants are called the Sauveterriens. 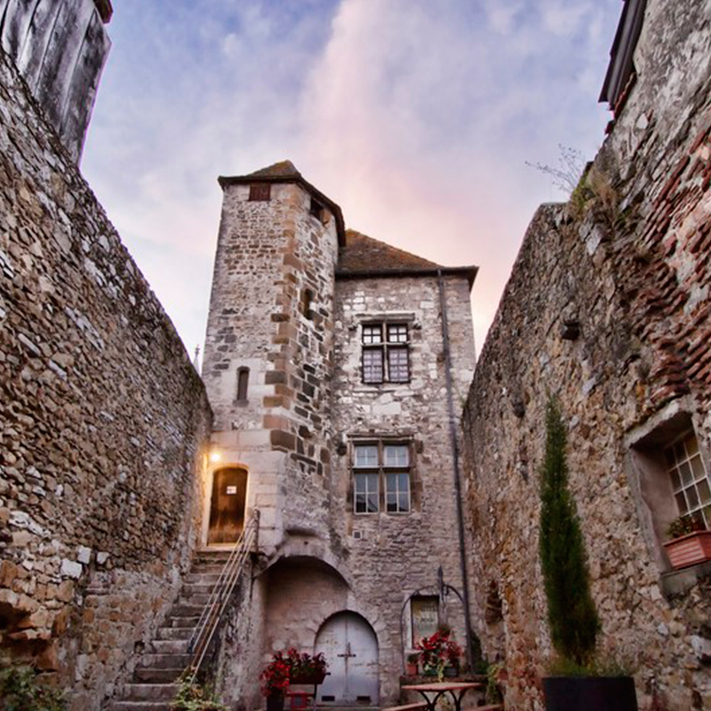 On the border of Béarn, this small medieval city built on rocky steep slope benefits from its situation in the crossroads of the Soule and from low Navarre. 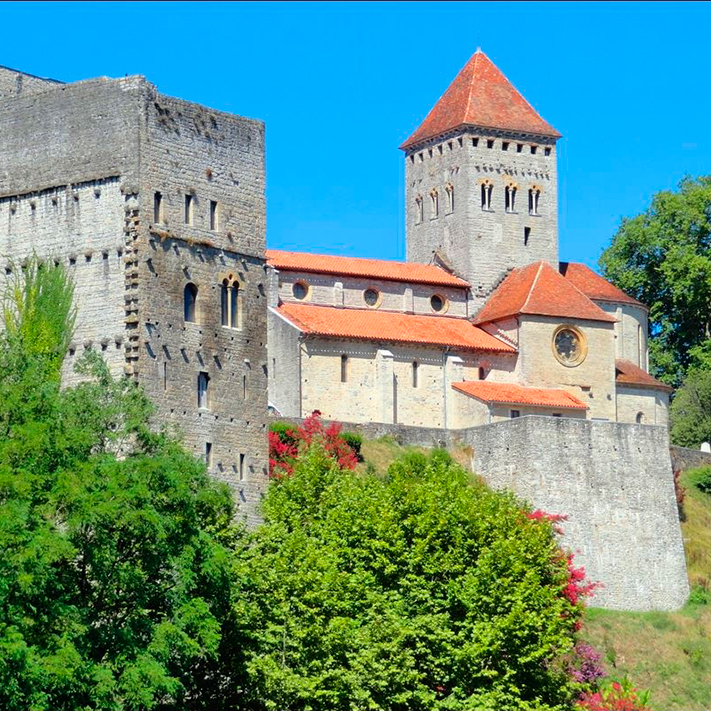 Sauveterre possesses important medieval vestiges: the church Saint André, the Monréal tower, the bridge of the Legend and the rests of fortifications. At the foot of the city passes by the mountain stream of Oloron. The city is a stage of one of the main ways of pilgrimage of Santiago de Compostela, Via Lemovicensis. Orthez is a French municipality situated in the department of the Pyrénées-Atlantiques, in region New-Aquitaine. The inhabitants are also conscripts Suzannais (of the name of the former connected municipality). Orthez is one of cities from Bearn who appears most formerly in the history : vestiges of churches dating the XIth century are still visible. From 1242 till 1464, Orthez becomes major of Béarn thanks to Gaston VII de Moncade, viscount of Béarn. The latter begins the construction of the Castle Moncade, siege of the court of Gaston III de Foix-Béarn says Fébus. 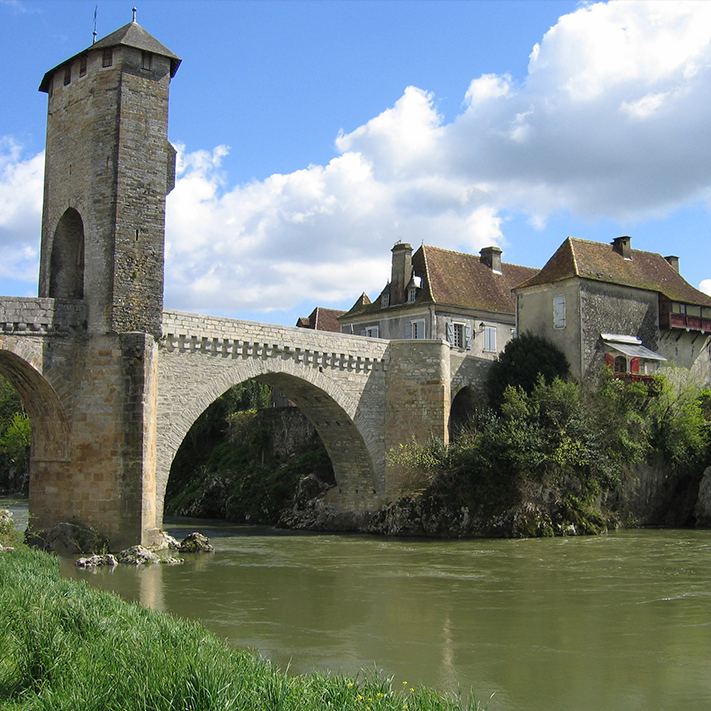 The Old Bridge is undoubtedly Gaston VII Moncade’s most remarkable work. In the XVIIIth century, Orthez specializes in the processing of products stemming from the surrounding countryside and in the trade. A bourgeoisie emerges. Various houses of traders and carftspeople allying residential and professional offices are still visible in the streets of Orthez. History Paul Raymond notes that in 1385, SALIES de Bearn counted two hundred – forty seven fires and established a bailiwick limited to the municipality. According to the legend, a wild boar would be at the origin of the city in the XVIIth century : hurt by hunters, he would have gone to die in swamps in the middle of the forests which recovered the region. Hunters having found him several days later in a good state of preservation discovered on this occasion that the swamp contained some salt. The salt was then hardly appreciated in the time and a village formed around this exceptional discovery. Since then, the emblem of the city is a wild boar. In fact, some water ten times as salty as that of the ocean is exploited for more than 3500 years. We find it of numerous testimonies to the museum of the salt of Salies-de-Béarn. 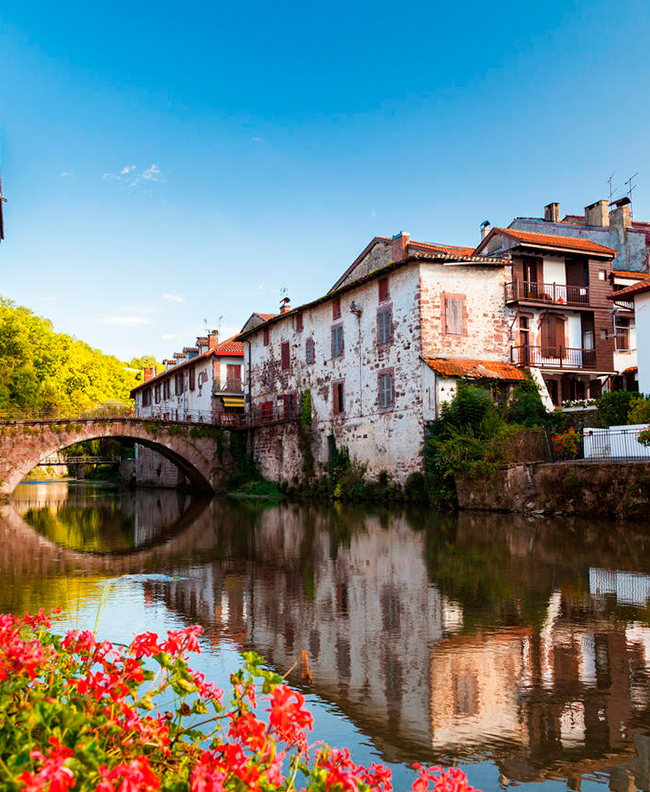 Saint-Jean-Pied-de-Port owes his name to his situation at the foot of the port of Roncesvalles (alt. 1 057 m), on Spanish territory. The city is situated in the confluence of Nive and Laurhibar. 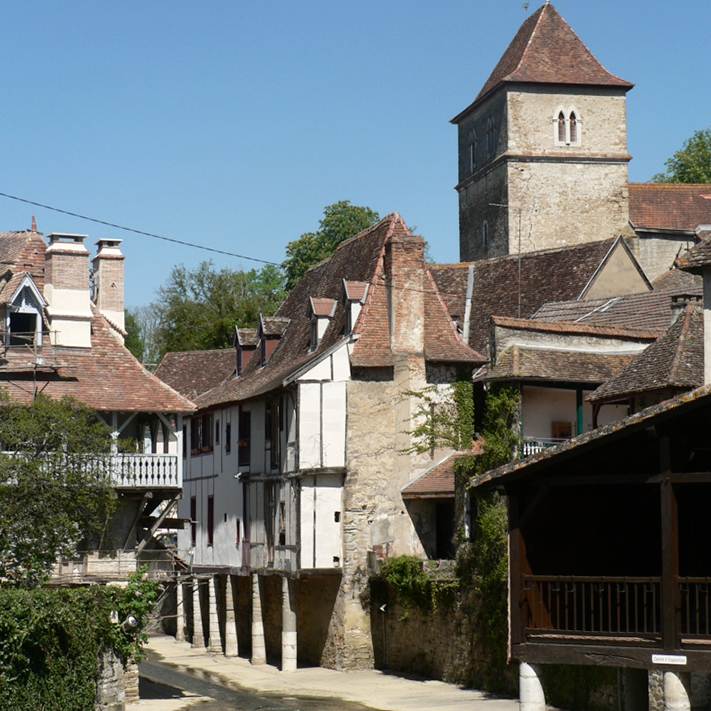 In 2016, the municipality was admitted joining the association the Most beautiful villages of France. The municipality is on the via Podiensis, one of the ways of the pilgrimage of Santiago de Compostela, which leaves Puy-en-Velay and goes on up to the collar of Roncevaux and, from there, to Santiago de Compostela. One of the first buildings of the city was the church saint-Eulalie, raised to the XIIth century not far from the ford of Nive; we can again see his Romanic, well-preserved portal, on the facade of the retirement home Toki Éder, in the district Ugange. On the hill dominating the city, we can see the castle of Mendiguren, which it is mentioned from 1191. At the foot of the castle, Sanche VII the Fort, king of Navarre built at the beginning of the XIIIth century a fortified city, surrounded with ramparts, still visible doors nowadays, as well as a church, included in the defensive system of the place. Kings of Navarre make it frequent stays.